It is often said that leadership is not management. Leaders are also described as ‘doing the right thing’, and managers as ‘doing things right’. A lot of leadership is the ‘interesting stuff’: creating a vision, driving through change, and inspiring others. Management, however, is all about people: creating and building teams, getting the best from staff, and making sure that everything works well. It may not have the profile of leadership, but good managers can ensure that people are happy in their work. They keep organisations ticking over. Without managers, there would be no leaders, because everyone would long since have walked out. Management skills are, therefore, as essential to organisations as leadership. This section of SkillsYouNeed is all about these skills. Manage others, both individually and in teams (see Table). Managers also need skills to manage work, including generic skills like decision-making and problem-solving. However, these skills are not specific to managers, and have therefore not been discussed on this page. All managers need to manage themselves, and at least one other, or they are not managers. As you become more senior, you will need to manage more people, and therefore need a better understanding of teams and groups. You will also need more understanding about how to manage and delegate work, because part of your job will be to help others understand and develop these skills. Communication skills are such an important part of managing others that they have been included as a separate category here. You will be unable to manage anyone if you cannot communicate with them effectively. You cannot manage others if you cannot manage yourself. It is a truism, but it is also true. One of the most important skills for managers, like leaders, is to develop their emotional intelligence, that is, their ability to understand and manage their own and others’ emotions. This does not mean being able to manipulate others, but understanding what is going on in your head and in theirs, and be able to manage it, and help them to manage it if necessary. Daniel Goleman, the author of several books on the subject, divided emotional intelligence into five main areas, three about personal skills or attributes, and two about what he called ‘social skills’. The idea is, effectively, that you develop these skills consecutively. You cannot, for example, regulate or motivate yourself until you are fully aware of yourself, and confident in yourself. In order to understand and manage others, you have to understand and be able to control and motivate yourself first. 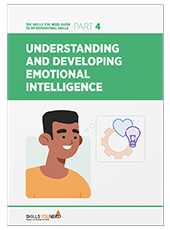 There is lots more about this in our Emotional Intelligence section, and we recommend reading around the subject to develop your understanding and skills in this area. Failure to manage your team, which means taking responsibility for their performance. This includes recognising good performance, and managing poor performance. There are good reasons why many people fall into one or more of these traps, and this page explains more about these and how managers can avoid making these mistakes. One final area that can sometimes be a problem for new managers is confidentiality. Be managing disciplinary proceedings against someone. This information will need to be kept confidential, which means that you are unable to share it with others. You will therefore need to take steps to ensure that you can keep information secret, such as locking your papers away when you leave your desk, and password-protecting your laptop or workstation. It is your responsibility to protect this information, and you may be liable if it leaks through something that you have done or because of your negligence. Our page on Confidentiality in the Workplace explains more about this area. Managing a team, including balancing work across the team, ensuring that the team operates effectively, and that everyone gets enough development opportunities, as well as managing the workflow as a whole. The first step in managing is to recruit someone to manage. Recruitment is an expensive process, and the consequences of getting it wrong can be quite severe for your team and organisation, so it pays to get it right if possible. Using your network can be an important way to ensure that you have access to a large pool of suitable candidates. It is also important to draw up an accurate job description and person specification. These should not be generic, but should reflect the actual post and the team. Time taken to consider the recruitment process, and particularly where you will advertise and how you will test the candidates, will be time well spent. For example, did you know that on average, interviews alone are only slightly more successful as a selection tool than sticking a pin in a list of people? Adding a written test, or perhaps a ‘round robin’ discussion with the team, can be good ways to increase your knowledge of the candidates. Our page on Recruitment and Selection contains more about this important process, and you may also find it helpful to read more about Interviewing Skills. Once you have recruited someone to join your team, it is worth spending a bit of time considering the induction and ‘onboarding’ process. Rapid employee turnover is often the result of poor induction, orientation and ‘onboarding’, and is expensive. A successful induction process ensures that the new recruit rapidly comes to understand the business, their job, and how they fit in, is able to make a strong contribution from an early stage, and sees that they are valued. Managers need to be able to motivate others. An unmotivated team or individual will not perform effectively: they may start to turn up late and leave early, or even simply move on to another job. There are a number of reasons why people may become unmotivated, including lack of challenge in their job, being overloaded and underappreciated, or even just having done the job for too long. Our pages on Motivation Skills and Creating a Motivational Environment may be helpful in addressing these, but you might also want to read our page on Self-Motivation first as a reminder of what is important to you. One of the more formal aspects of management is managing performance. Most organisations have some kind of formal appraisal process, starting with drawing up goals and objectives, and including formal review and discussion sessions at regular intervals. Many also have an annual report of progress against objectives, which may also be linked to pay increases. As a manager, you will be responsible for running this process with each of your staff. The importance of performance management, however, goes far beyond being required to complete a regular review. It is likely to be the main opportunity for your staff to discuss their development formally, and can therefore be very important to the organisation, especially when most people do not expect to have a ‘job for life’. There is more about this in our page on Managing Appraisals and Performance Reviews. Of course, annual appraisals are not the only time when you should be discussing performance. Regular and effective feedback is vital to ensure that your team members are able to improve their work. Learning how to give feedback that will be heard and acted upon is a key skill for managers. Learn more from our page on Giving and Receiving Feedback. Unfortunately, there will also be times when you have to deal with poor performance, or bad behaviour. It is important for the organisation that you do this promptly and effectively. It is also important for the individual to be given a chance to improve. It is a good idea to seek support from your organisation’s human resources team if you are faced with poor performance, especially if this is the first time you have ever dealt with any disciplinary matters. Following the right process is important to ensure that you do not end up at an industrial tribunal. Find out more in our page on Discipline and Managing Poor Performance. One of the most common managerial mistakes is failure to delegate work effectively. Our page on Delegation Skills explains that this may be the result of a misunderstanding about the level of delegation and/or control required. It is worth considering this before delegating work to ensure that you are clear about the actions required. Teams are, or should be, far greater than the sum of their parts. If you get teams right they can achieve much more together than as individuals. However, if you get it wrong, then all kinds of dysfunctional group behaviours, and even conflict, may emerge. SkillsYouNeed contains a lot of information about working in teams and groups, including understanding group dynamics, the difference between teams and groups, and how to manage difficult group behaviours. For more about these, we recommend starting with our page on Teams, Groups and Meetings, and moving on from there. You may also find our pages on Conflict Resolution and Mediation helpful. 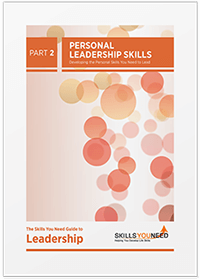 Our eBooks: An Introduction to Communication Skills, Advanced Communication Skills, and Conflict Resolution and Mediation, part of the Skills You Need Guide to Interpersonal Skills contain more information about these areas too. For support with the day-to-day work of running a team and managing work flows, our page on overseeing work provides some useful ideas. Communication skills are particularly important for managers, who need to be able to get messages across to others without ambiguity, and listen to information from their team and others—as well as being alert to non-verbal communication. While these skills are more generic than many of the others mentioned on this page, they are so important that they are worth mentioning separately. For more information about all these areas, you may want to visit our pages on Communication Skills, particularly Listening Skills, and on Verbal Communication, including Effective Speaking, and Non-Verbal Communication. There are, of course, a number of other skills that managers will find useful, such as decision-making and problem-solving. These are, however, not specific to management, so have not been discussed on this page, which focuses on the skills required to manage others, both individually and as part of a team.